Having secured the support of a section of the SLFP parliamentary group loyal to President Maithripala Sirisena, the Joint Opposition intends to step up pressure on Speaker Karu Jayasuriya this week to review his position on the post of Leader of the Opposition. Addressing the media at the Nelum Mawatha, Battaramulla Office of former President Mahinda Rajapaksa, Sri Lanka Podujana Peramuna (SLPP) Chairman Prof. G.L. Peiris yesterday said that with the amalgamation of the Joint Opposition group and SLFP members who distanced themselves from the government in the wake of the abortive No-Confidence Motion (NCM) against PM Ranil Wickremesinghe, the strength of the group loyal to former President Mahinda Rajapaksa was now 70. 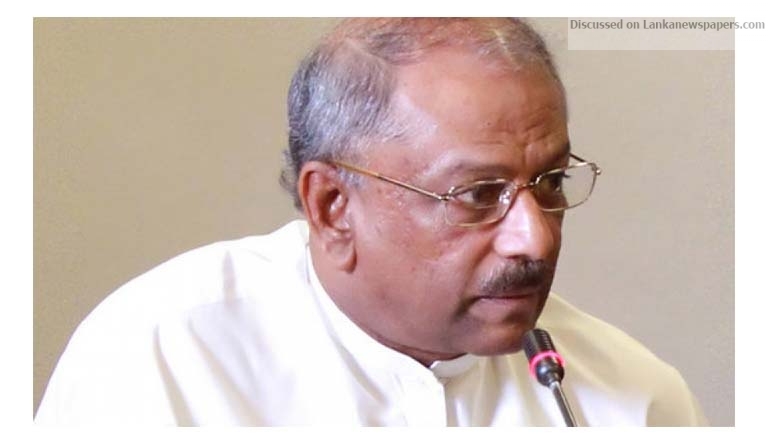 Prof. Peiris said that the members of the Group of 70 would write to Speaker Jayasuriya this week requesting that Dinesh Gunawardena, JO leader in parliament be recognized as the Opposition Leader without further delay. The former External Affairs Minister said that the JO group consisted of 70 whereas the TNA and the JVP comprised 16 and 6 lawmakers, respectively. TNA 16 included Trincomalee District MP Sampanthan. Commenting on the role played by the Leader of the Opposition in decision making Constitutional Council responsible for formation of key independent commissions, in addition to the filling up of top judicial and administrative posts, Prof. Peiris pointed out that as the majority of positions in the ten-member Council were filled by the Prime Minister and the Opposition Leader, it wasn’t fair to continue with Sampanthan as he commanded only 15 members. Responding to a query, Prof. Peiris said that President Sirisena’s group, too, had been weakened by the defections and reduced to about 25 members.